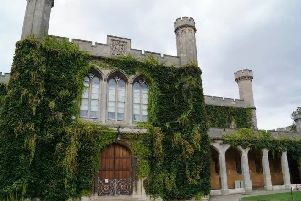 A heroin addict who missed a drugs test in Mansfield and risked being sent back to prison was told to behave himself, a court heard. Craig Dixon failed to turn up on September 5 for the appointment, after he tested positive for drugs, following an arrest for shoplifting, on August 30. The court heard this put him in breach of a suspended prison sentence, and the terms of his post-sentence supervision. Sarah Neale, mitigating, said Dixon, who has been hooked on the drug for eight years, was currently taking methadone. “He was concerned the test would clash with a probation appointment on the same day,” she said, and urged magistrates not to activate the suspended sentence. Dixon, 32, of Long Croft Court, Chesterfield, admitted the offences, when he appeared at Mansfield Magistrates Court, on Friday. Magistrates said it would be unjust to activate the sentence and that he was engaging with his drugs worker, but warned him that if he does offend, the sentence can be activated. He was fined £80, with £85 costs and a £30 government surcharge. His suspended sentence was extended by three months.